Share The Scoop with your friends! Welcome to the Aerobic Newspaper! What is the aerobic newspaper? How is it aerobic? Why is it aerobic? Do you ever wonder about the shops and restaurant businesses around the Highland Park area? Well if you do, here's the Aerobic Newspaper to motivate you to hop onto your feet and check them out! The Aerobic Newspaper is a camp in the MITY Explorschool program of St. Paul (www.mity.org). The name "Aerobic Newspaper" means what it says: We move as much as possible to report our stories, and even find creative ways to do small movements while we write, such as marching--or at least take movement breaks while we write. Because moving requires more oxygen, our newspaper is an aerobic one! We do this to have fun, keep things interesting and to develop habits of lifelong health by moving often to keep our hearts, blood vessels and bones healthy. We hope we don't grow up to be office-sitting adults. The idea for this paper is to investigate a theory of metabolism called NEAT: Non-Exercise Activity Thermogenesis. That makes us NEAT kids! The research on NEAT shows that small, consistent movement--like walking, you don't have to run marathons!--is really super good for you over your lifetime. We decided to make it our habit now while we are young so that as we grow, we can grow in health, too. Our Aerobic Newspaper staff walked about 35 miles over the 9 days of reporting, writing, drawing, illustrating and photographing it took to research all the topics you'll read about here and make this newspaper, website and iPad book. 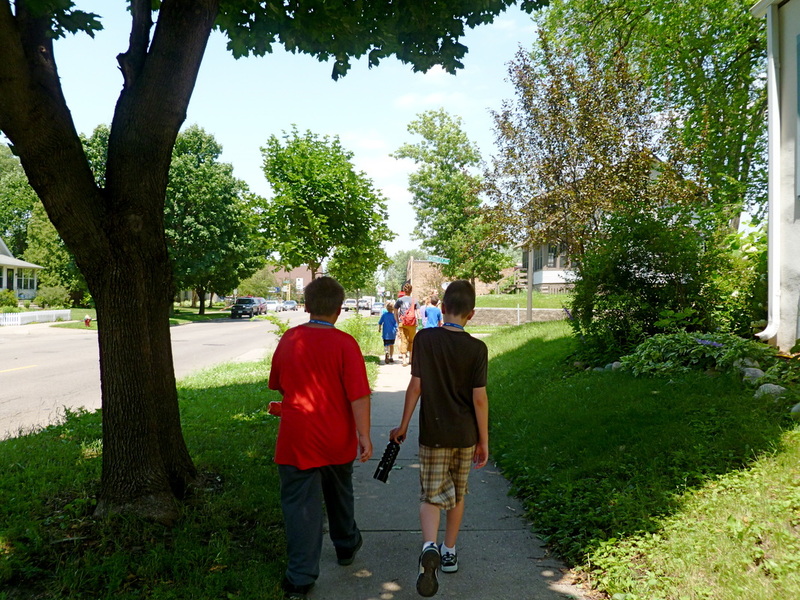 To discover the sense of community in this neighborhood we wrote articles based on visits to The Nook, Smashburger, Lynden's, Regina's Candies, Treasure Island PlayGround, Mattock's Park Playground, Horace Mann Playground and St. Paul Corner Drug. To learn more about MITY, we interviewed other kids, and even went on a field trip to the Minnesota History Center by city bus with two other classes to get a sense of what they were learning, and to experience the History Center. We have worked very hard making surveys and interviewing people around MITY and a lot of other places, staying aerobic by walking everywhere. We hope you learn a lot about community, kids and NEAT so you can have your own aerobic adventures. We highly recommend it.